GALVESTON, Texas -- A child found dead on a Texas beach last October has been identified by authorities, and the boy's mother and her girlfriend are under arrest, Galveston police announced Wednesday. Authorities in Galveston had appealed to the public for help in identifying "Little Jacob," even taking the rare step in January of releasing a photo of the deceased child. 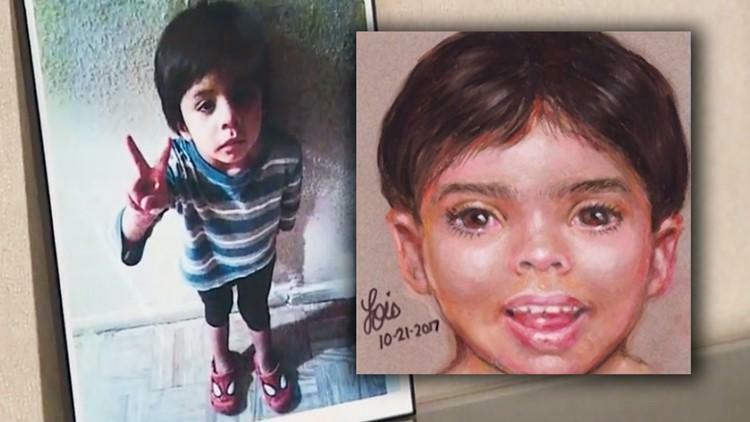 CBS affiliate KHOU reports tips led authorities to identify the boy as four-year-old Jayden Alexander Lopez, Galveston police chief Vernon Hale said. "The citizens helped us solve this," Hale said. Police say the boy lived with his mother Rebecca Rivera, 34, and her girlfriend Dania Sarai Amezquita Gomez, 31, in Houston. Gomez faces a misdemeanor charge of tampering or fabricating physical evidence, while Rivera is facing a felony count of the same charge. Police say the boy was abused before he died, and that the couple traveled to Galveston County from Houston to dump his body in the waters of the Gulf of Mexico, reports the station. Officials would not say whether they believed Rivera was involved in the boy's death. Authorities haven't said how the boy died. No one had reported him missing, officials said. "No one was looking for Jayden. We had to become his advocate," FBI supervisory special agent Bryan Gaines said Wednesday. Police say the crucial tip came in Jan. 30 from someone who knew the boy after officials released the image of the boy's body. The tipster provided the names of the child's mother and her girlfriend. Rivera is being held on a bond of $260,000. Amezquita Gomez is being held on a bond of $100,000. Police also said there was another child, 3, living with the family. The child was unharmed and has been removed from the home.